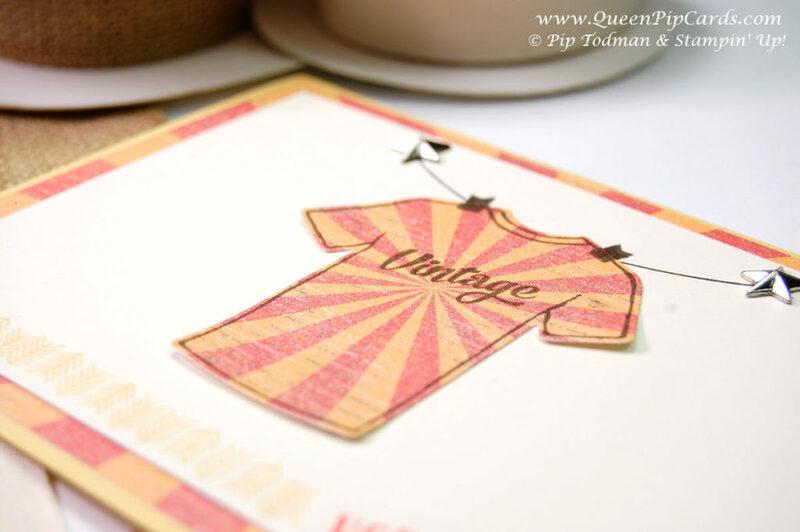 Today I’m sharing another card made with the Custom Tee bundle and giving a full Custom Tee Product Review for you. I love how the dies coordinate perfectly with the stamps. The best feature though without a doubt is the variety of stamps and dies you get. This means it can be used for multiple occasions. Use it to create a stash of cards for men, women, girls and boys. Cut out just the tee shirt shape and show the paper or inside of the card through it. You can stamp the shapes on their own, or you can combine them together for just Stampin’ Up! awesomeness! All the products used for this card are shown in the product line up below – click the image to shop! It comes with a whoppin 35 stamps!!! 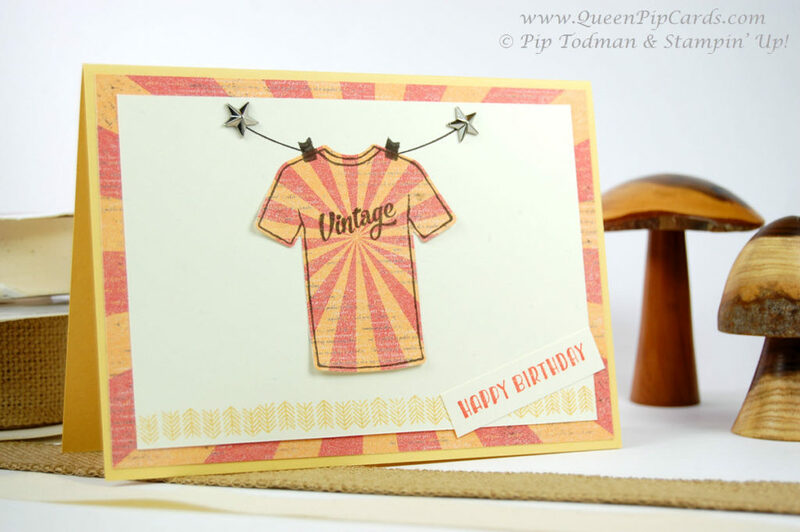 It has some funky sentiments to stamp as tee shirt logos like Vintage, #1, Love You and my favourite ever Happy Stamper! The sash is genius because it can be turned into a double ended banner (see my blog post from Sunday) plus it works great with the Bride to Be wording! Fab for hen party invites! All of that for just £40.50 – what a great investment and pure value for money. Add to your basket some ribbon or embellishments and reach the £45 for a free Sale-a-bration item. Why not choose the machine Designer Tee stamp set for even more t-shirt fun! The only limit with this set is your own imagination! I could go on and on about this bundle! I hope the Custom Tee product review I’ve done leaves you reaching for that shop button to get your hands on it now! « Only 10 Days to Join And Get Glimmer!